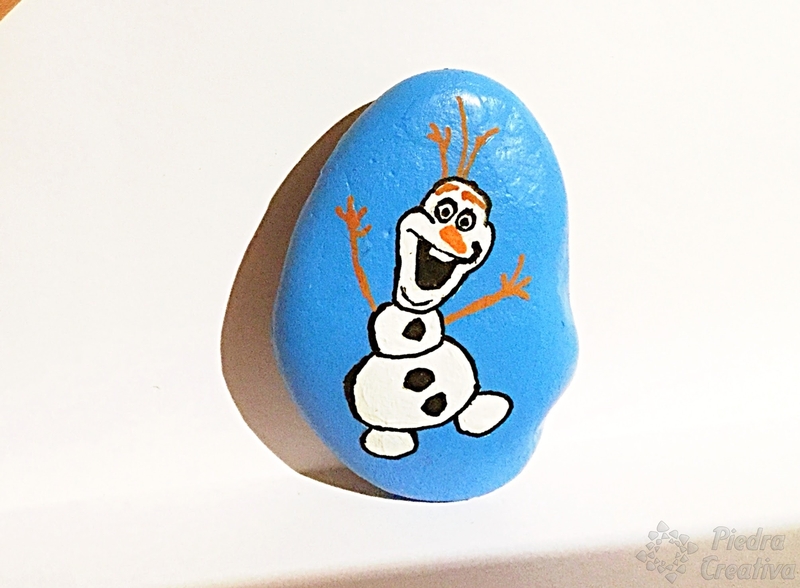 How to paint Olaf in stone? Today we are going to make DIY for children. In particular “Olaf“, the famous snowman of Frozen. 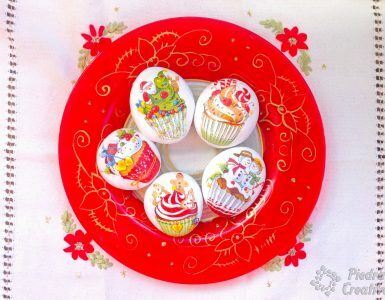 A cheerful and good friend as the little children of the house. Clean and washed the stone. Paint the background with blue color. 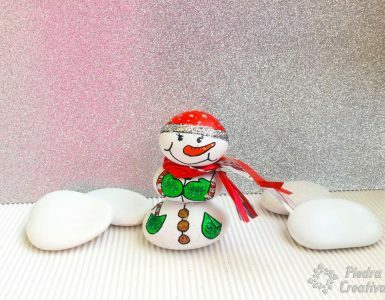 Draw the snowman with soft pencil. 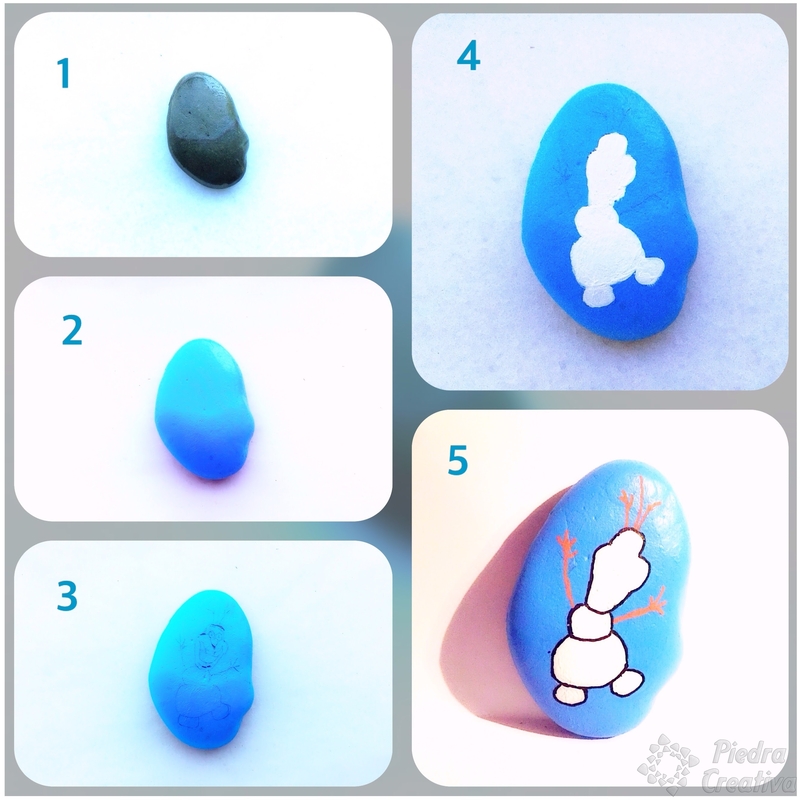 Draw Olaf’s figure with white paint. Paint the arms and hair with brown color. Paint the external profile with black marker. Also draw eyes and other parts inside. 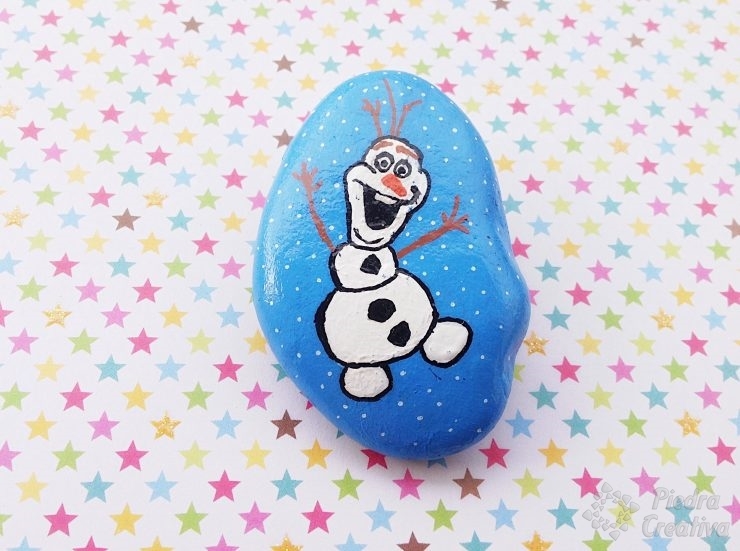 To finish, we recommend that you use a special varnish for stones, thus protect the DIY. 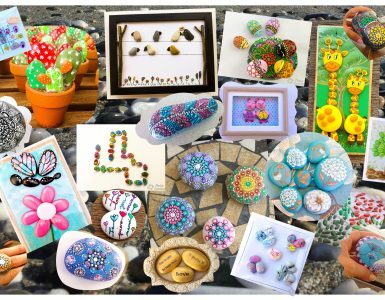 Remember how important and beneficial it is to share great moments with children, so you can find more crafts to do as Peppa Pig, PacMan, Tres en raya, etc. in the Kids section of our blog.